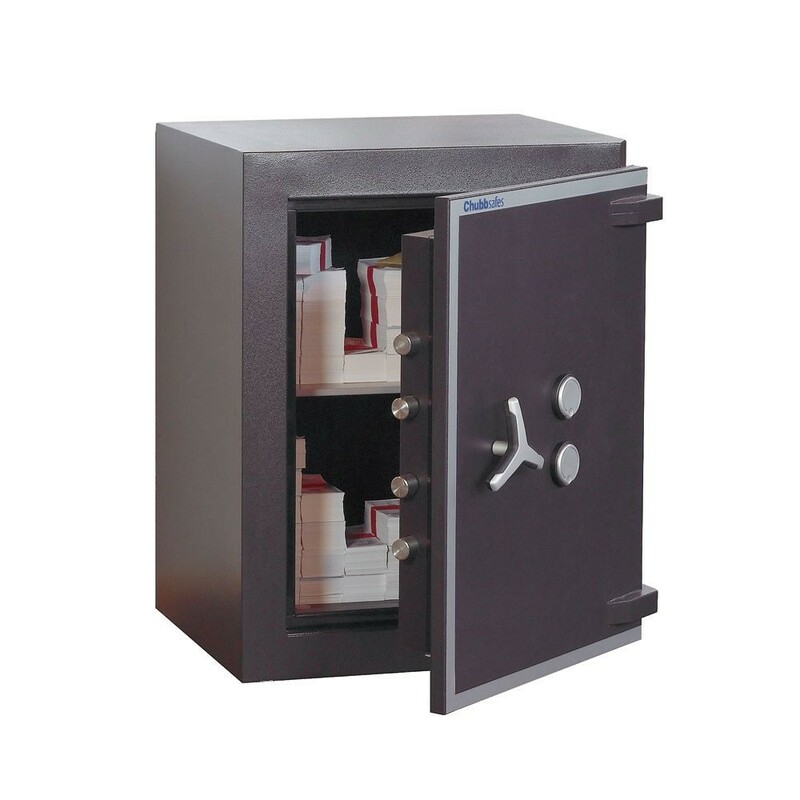 The Chubbsafes Trident Grade 6 Size 170 is ideal for use in high-risk sites such as banks, retail environments, jewellers or pawnshops as it is resistant to burglaries, fires and explosives. It is tested and certified by ECBS to EN 1143-1 for Grade 6 and offers a cash rating of £60,000. Furthermore, it is certified by SP Technical Research Institute of Sweden according to NT Fire 017 – 60 Paper providing paper documents up to 60 mins of protection in fires. It is also certified by ECB•S according to EN 1143-1, Grade 6 EX for protection against explosives. The Chubbsafes Trident Grade 6 Size 170 safe is secured by 2 EN 1300-certified key locks supplied with 2 keys each.